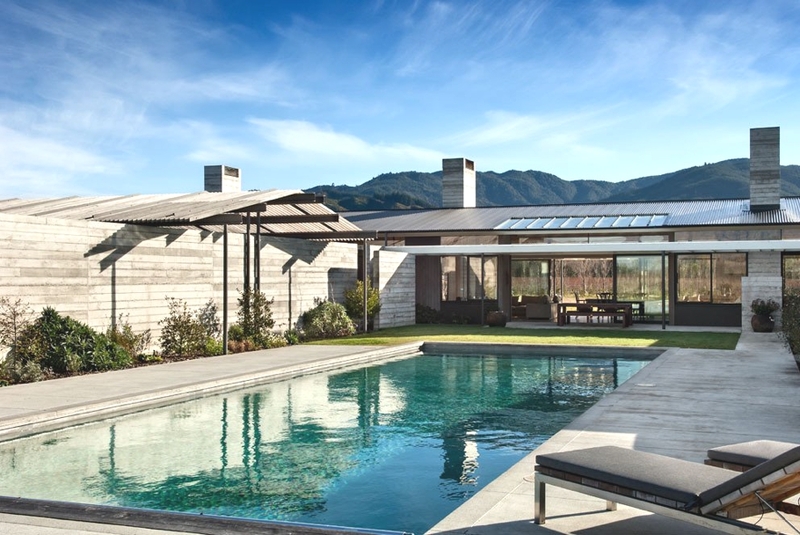 Wellington-based architectural practice Parsonson Architects have designed another gem, the Wairau Valley House project. 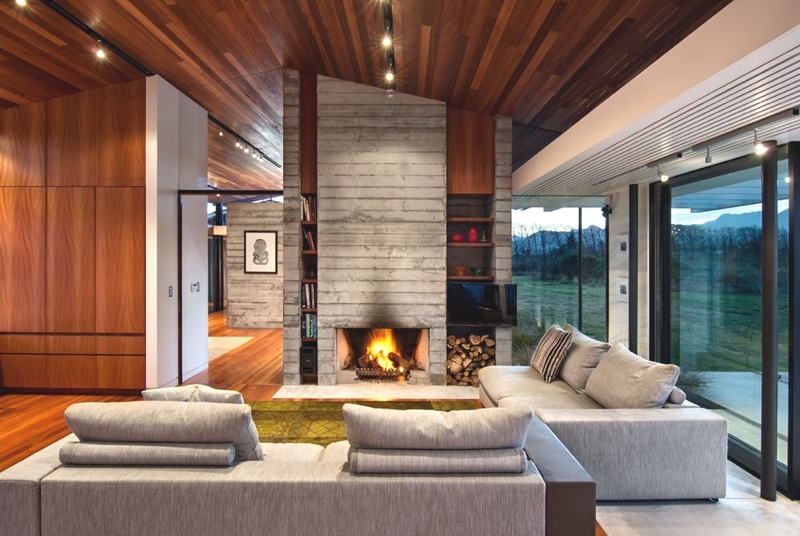 The luxury single-storey dwelling can be found in Rapaura, New Zealand. 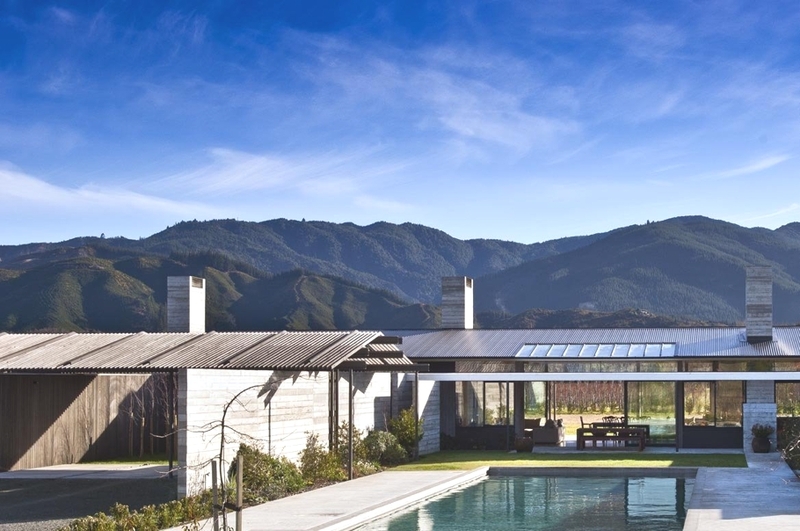 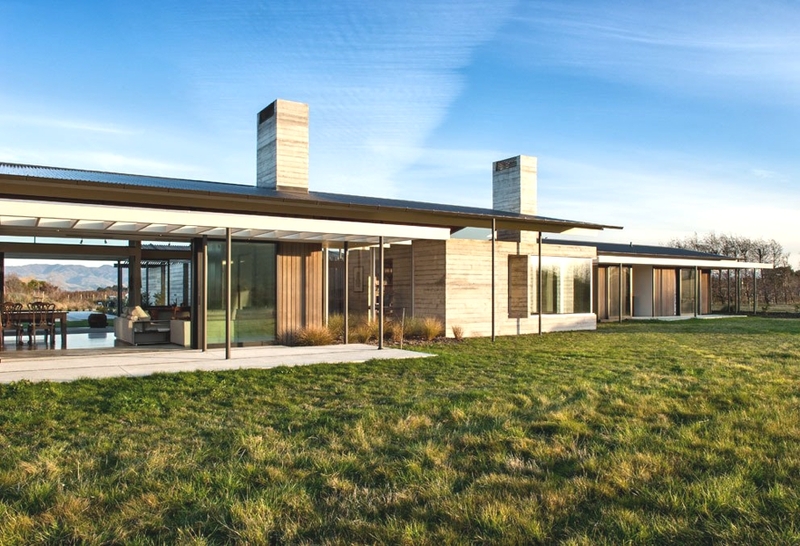 According to the architects: “The property is located in the Wairau Valley, 10 minutes from Blenheim and close to the Wairau River as it snakes along the edge of the northern hills, a patterned rural landscape of farms, orchards and vineyards. 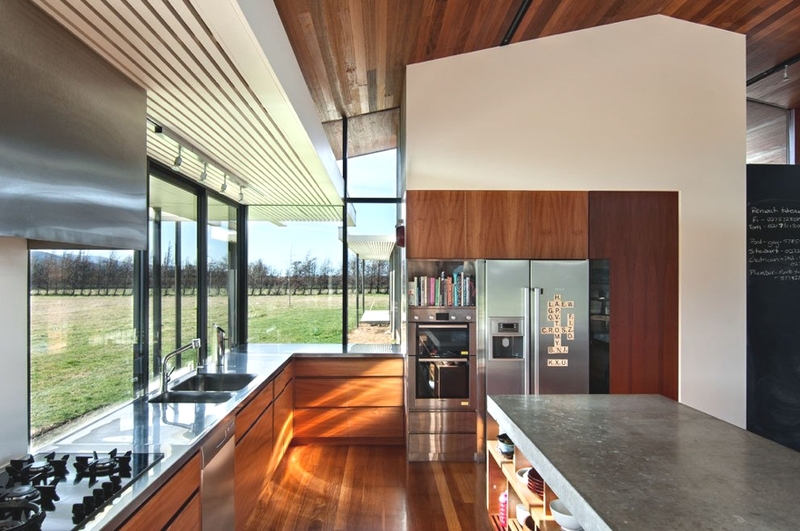 “The owners were keen for a house that had a connection to the land spatially and materially. 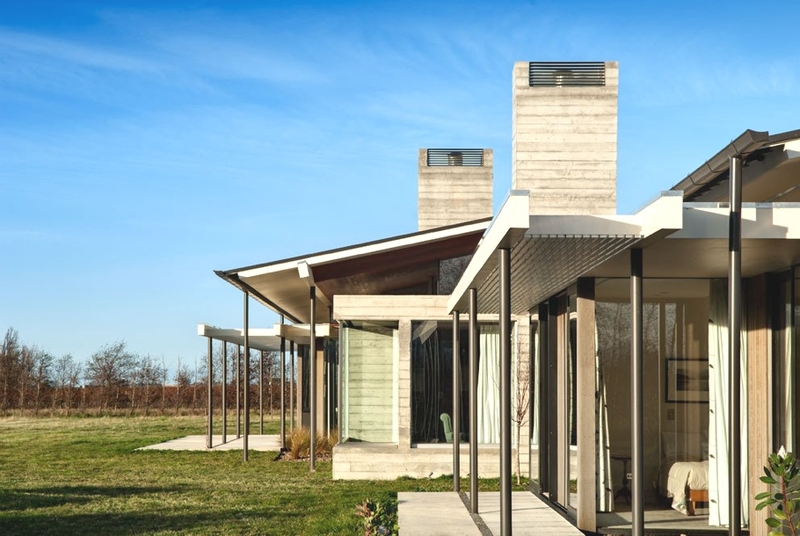 They were interested in occupying the site with a sense of encampment, where different interlinked pavilions offered different areas of occupation and privacy or openness. 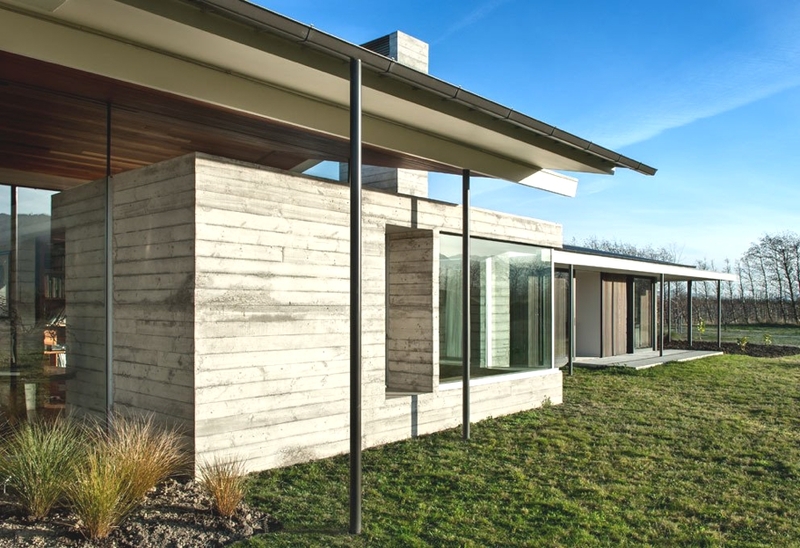 “We housed the spaces beneath low sloping gable forms and looked to blur boundaries between the land and building. 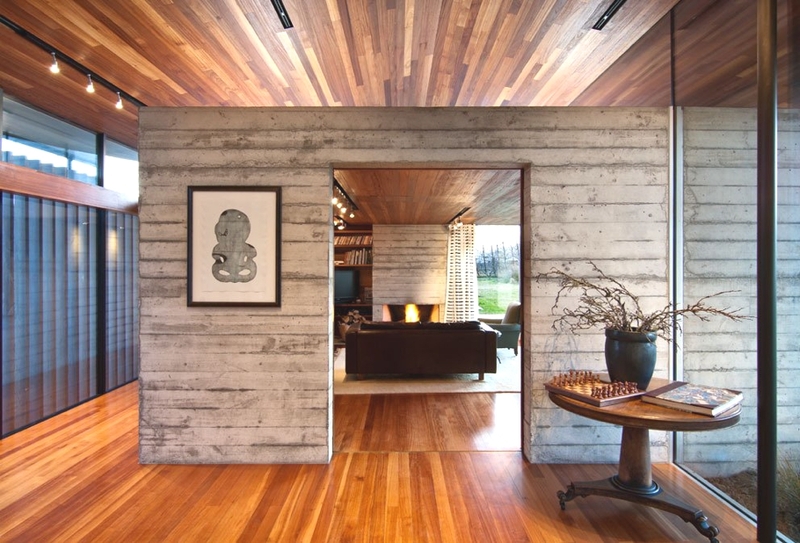 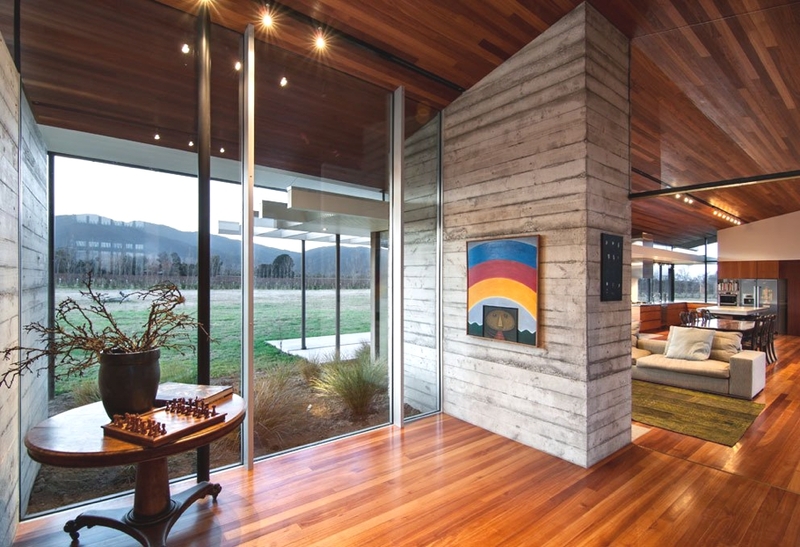 The contemporary architecture design such as the heavy linear concrete walls feel part of the land and are used to define indoor and outdoor spaces. 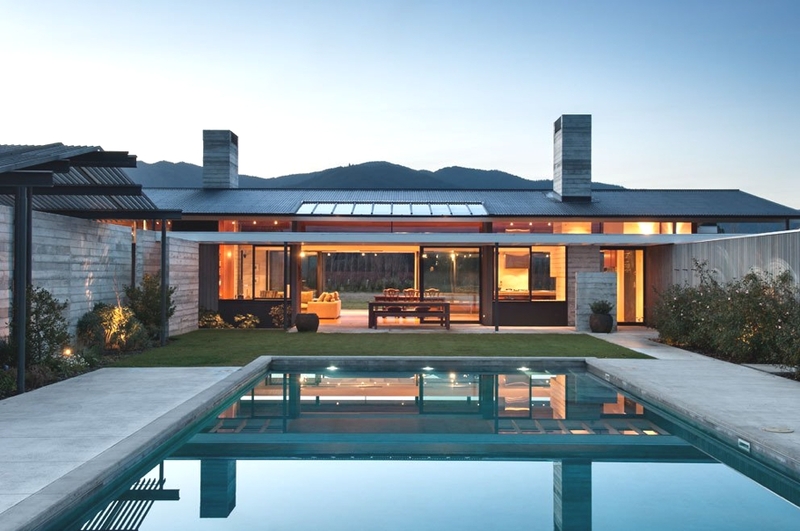 The gable roofs float over these to provide shelter and the comforts of contemporary New Zealand property. 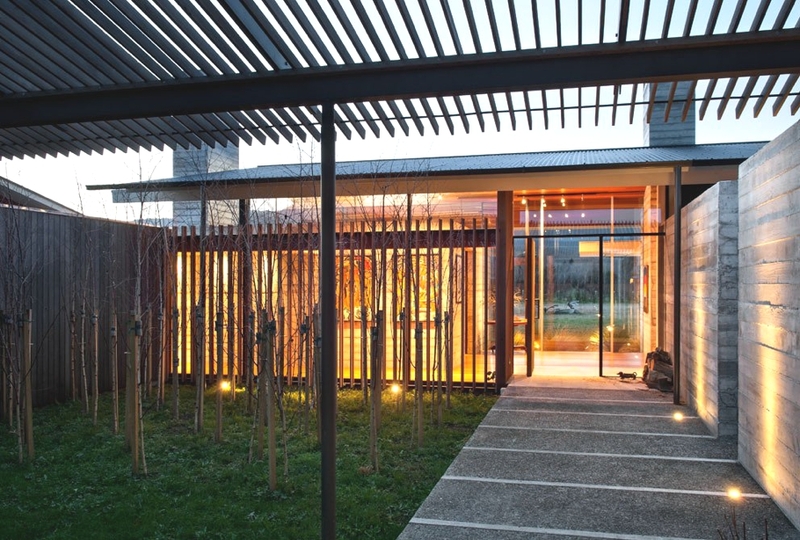 The landscape is cultivated; lines of orchard trees and vines mark the land in regular patterns and the house responds with the lines of pergolas and posts ready for planting to integrate the house with the land further still. 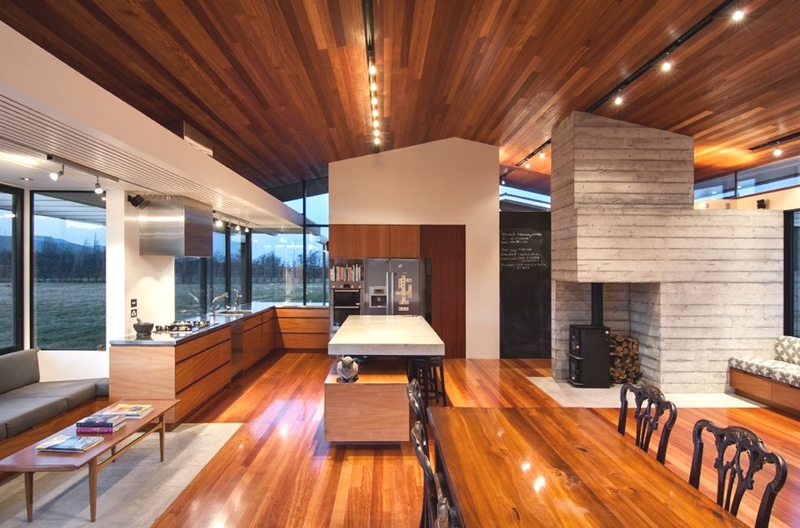 “The predominant materials used in the main spaces are concrete and Eucalyptus Saligna, which have been detailed and crafted to articulate the forms clearly and give a warm, engaging and natural feel. 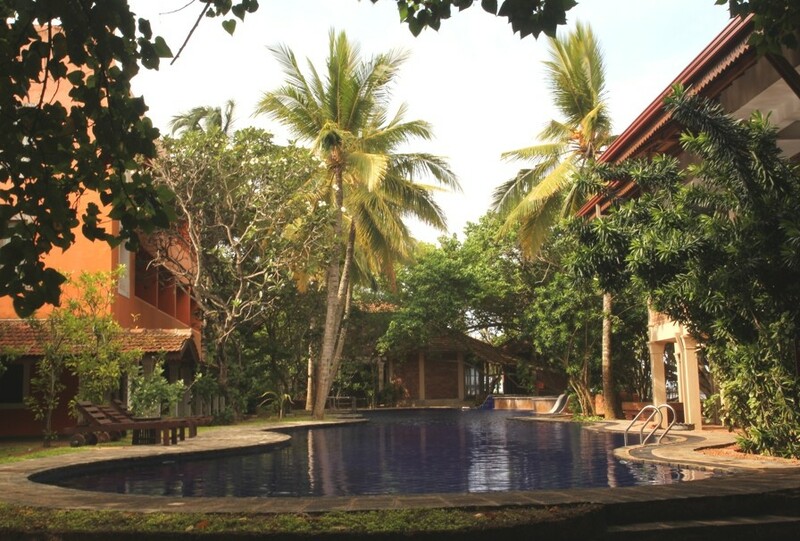 Originating some 5,000 years ago, Ayurveda, “the science of life”, is one of the oldest forms of scientific medicine and is based on the philosophy of detoxification and rejuvenation. 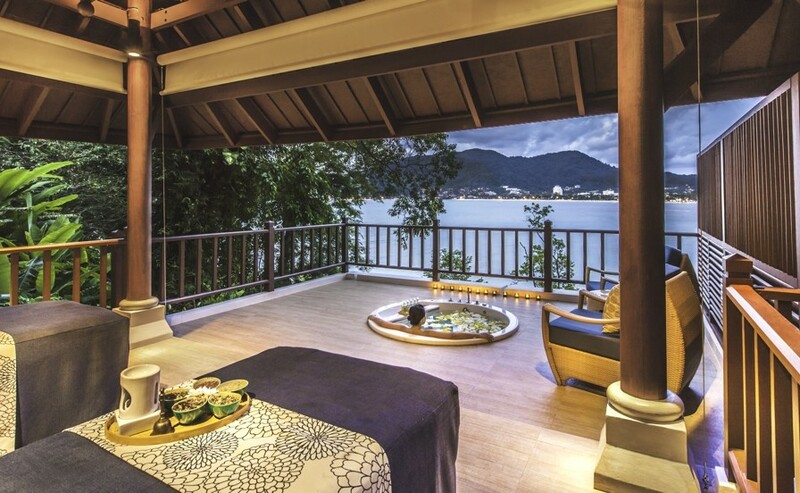 Amari Phuket previously known as Amari Coral Beach Phuket is located on a secluded part of Patong Beach, away from the chaos but still close enough to Patong Town.